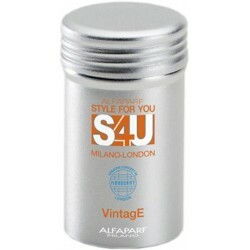 S4U Unisex - Just Beauty Products, Inc.
Alfaparf S4U Unisex, wild nature and extreme freedom of thought and action. For hair styles that are anything but Conventional Street Styling Trends into Ultra-Performance Products. S4U is definitely STYLED FOR YOU. S4U Unisex There are 6 products. Alfaparf S4U D'finR Glossy Cream Wax 2.64 Oz. UNISEX. Use this new age molding tool to create elastic shapes on damp hair, or for re-working pieces on dry hair. 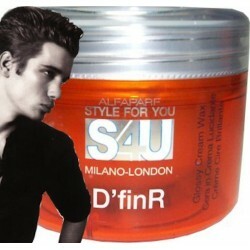 Alfaparf S4U Tx'T Volumizing Gel 5.29 Oz. UNISEX. Creates straight or curly texture that is still flexible for a supple, natural feel. Air dry for beautifully natural curl enhancement. Alfaparf S4U X'RebeL Optimal Smooth Control 3.38 Oz. UNISEX. Fantastic control for rebellious hair. Perfectly closes down and compacts hair shaft. Amazing 24 hour humidity defense prolongs straight styling results by protecting against curl reversion. 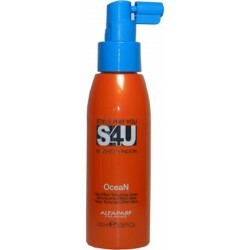 Alfaparf S4U OceaN Sea Effect Texturizing Styler 100ml/3.38oz. Surf Style with a slightly matt effect. 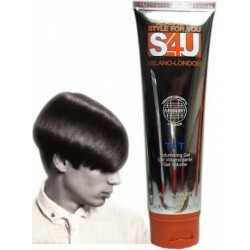 It amplifies the texture providing a messed hair look and a Consumed by the Sea effect. Exclusive sea fragrance. Contains UV filter. 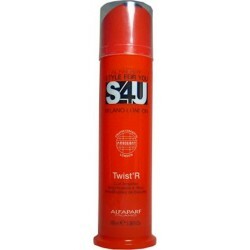 Alfaparf S4U Twist'R Curl Amplifier 3.38 oz. For curly and wavy hair. Amplifies, defines, controls and separates curls with an outstanding anti-frizz effect. Has a long lasting action. Contains UV filter. Alfaparf S4U VintagE 10g/0.35oz Matt Talc. It wraps the hair with an extra matt transparency to provide “grunge” and “total vintage” styles. It adds volume while grooming the hair.